(February 5, 2016) James Kyle Johns II is Troop 45's newest Eagle Scout. He was presented the Eagle Scout award at a special ceremony held in his honor on January 9, 2016. The Eagle award is the Boy Scout's highest honor awarded to a youth, and only about 4 percent of the boys who enter the Scouting program ever earn this award. As part of the requirements for Eagle Scout, James completed a community service leadership project. For his project, James planned and led the effort to repair and renovate outdoor classrooms and a nature trail for Steele Creek Elementary School. 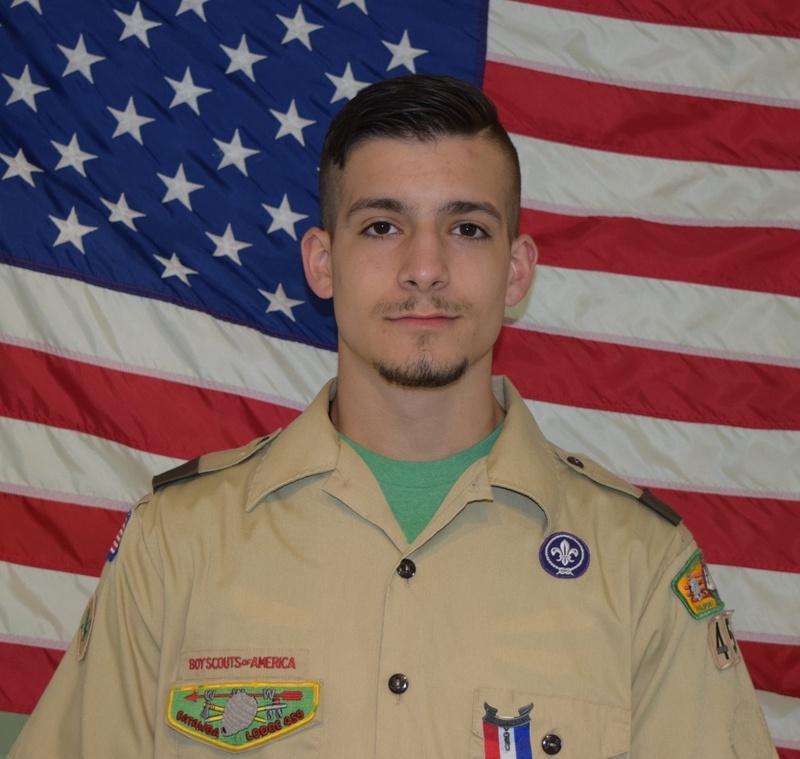 James is a Senior at Fort Mill High School, a Brotherhood member of the Order of the Arrow, and has served as his troop's Senior Patrol Leader. Boy Scout Troop 45 is sponsored by Central Steele Creek Presbyterian Church and is led by Lynn Snuggs. Visit the troop web site at www.troop45nc.org.